Rehab can be intimidating even for people who are committed to their decision to get help for an addiction. Even when you want to quit an addiction, you may still be nervous and scared about going to rehab for the first time because you don’t know what to expect. The thought of living in a treatment center for several months with strangers can be overwhelming to think about. Although it might seem scary, it is important to understand that ultimately rehab will be a positive experience. Don’t allow your fears about what happens in treatment prevent you from doing something great for yourself and your life. Rehab will change you for the better by improving your health completely- mentally, physically and spiritually. Admitting that you have an addiction is one of the hardest things to do because you know that recovery will be a long and difficult road. Rehab is designed to give you all the support that you need in order to learn to live sober and become a happier person without any drug use. 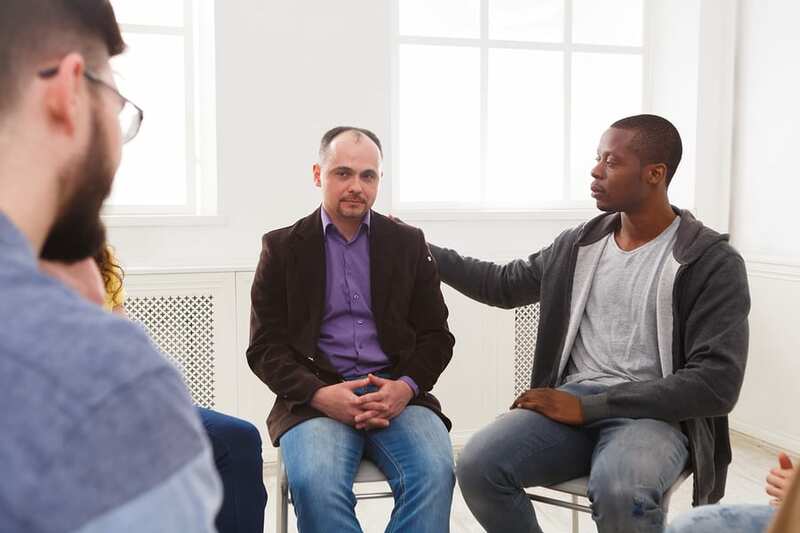 Even though you might be afraid, try to reassure yourself that entering inpatient treatment is one of the best decisions you could have made for yourself. In order to overcome some of your anxieties about treatment, it can be a good idea to prepare yourself as much as possible. If you have already chosen a treatment center make sure to visit the facility beforehand and maybe take a tour so that you have a better idea of what it will be like. You can check out the rooms and accommodations and maybe meet some of the staff members to get a feel for the environment. When you visit a treatment center you can ask as many questions as you like about what takes place during a typical day in the facility. You can ask for a sample of a patient’s daily schedule so that you know what type of activities and classes are planned on a regular basis. Being as familiar as possible with what the rehab center is like can help you feel less anxious about what will happen when you enroll. Another good way to prepare for rehab is to think about all the reasons you want to quit and what you hope to accomplish while in treatment. There are probably plenty of changes you want to make and things you want to do when you are sober. Thinking about the positive aspects of quitting will help you forget your fears and get you more motivated for the beginning of your rehab treatment. If you haven’t already done so, it is important to attend a detox program prior to entering a rehab facility. Find out if your treatment center has its own detox program on site or if you will have to go through a separate clinic to complete detox. Although it may be one of the most difficult aspects of recovery, detox is an essential first step to getting sober. In detox you will need to abstain from all drug use in order to rid your body of chemicals and toxins that you are physically dependent on. If you are nervous about detox you can also ask questions and find out what kind of medications they offer or other items they have to keep you from experiencing too much discomfort. The more you know about detox and rehab before going into it, the better you will feel about the experience. One thing to remember about both detox and rehab is that the staff members are there to make everything go smoothly so that you are not in too much pain or distress. Whenever you are struggling you will have someone there to talk to about your feelings. Staff members are always well trained and experienced in addiction treatment and are there to offer support and compassion to each patient. It is natural to have certain fears and apprehensions about what will take place during rehab treatment. Everyone worries about what will happen when they are going into a new situation that they have never encountered before. Sometimes just finding out more information from different sources can help ease your fear of the unknown. Educating yourself as much as possible can be a great way to prepare for rehab. Try to find people to talk to who have been through a program such as friends in your twelve step group. You can also read people’s personal stories about their experiences in recovery to get a better understanding of what it is really like. Ultimately, the best way to alleviate your fears is to go through rehab yourself. It can be a life-changing and positive experience for anyone who is truly ready for recovery.